SAN FRANCISCO -- San Francisco police are investigating an armed robbery involving two television news crews this morning in San Francisco. 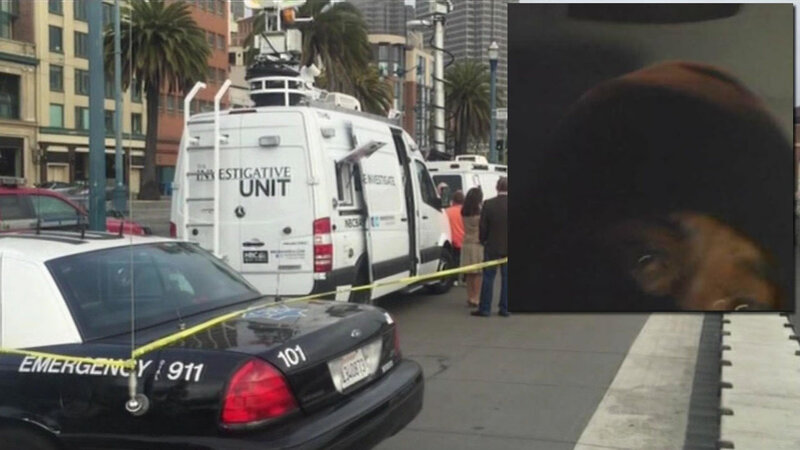 The news crews were among several stations covering the deadly shooting of a woman at Pier 14. Shortly after 6 a.m., an armed man approached a KNTV photographer, pistol-whipped him and threw him to the ground. A photographer from KTVU tried to intervene. The robber took both of their cameras at gunpoint. He jumped into a waiting black BMW 7 series with two men inside, and took off. The KNTV photographer is expected to recover. No one else was injured. A magazine clip for a semi-automatic weapon was found on the ground. Police collected the magazine and took witness statements at the scene.